Double-click on the element. 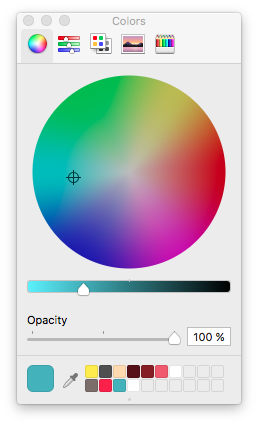 On the right, you can choose between different fills - color and gradient. Similar to the fill setting, just double click on the element and find the stroke settings next to the fill settings on the right. 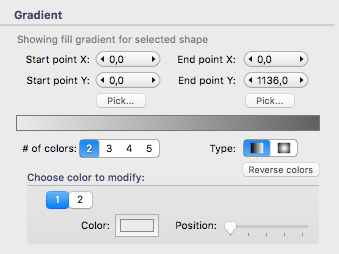 Select the element and edit the shadow settings in the inspector under Element > Element Style > Shadow.